If you are recently engaged to be married, congratulations! Planning your wedding can be one of the greatest experiences of your life for you and your partner. We want you to know that Fitzgerald’s Fine Catering is available for Connecticut wedding catering services and will take great pride in assisting you with making your most important day a great success! We are a full-service and award-winning wedding caterer that has the experience and capabilities to handle many different facets of your wedding. Our years of performing wedding catering services throughout Fairfield and New Haven Counties in Connecticut and beyond has earned us a reputation for setting the standard of excellence in the region. Whether your wedding reception is occurring at Lighthouse Point in New Haven or Waveny House in New Canaan, we can help you to create a beautiful wedding celebration that will fully display your tastes and preferences. We pride ourselves for our emphasis in the quality of our food and level of professional service. Our team of professional culinary chefs have the skills and experience to provide the highest quality of food preparation techniques to ensure that your food will be cooked properly and taste delicious. We employ a service staff team that are presentable and trained to ensure that your wedding party will be run in an efficient manner. We understand the importance of preparing great tasting food and providing exceptional customer service for your wedding day and we strive to provide the best possible wedding catering experience for that is possible. We offer many different customized wedding catering packages and services and have performed our wedding catering services at a variety of locations throughout the region such as large banquet halls, beach fronts, private homes, and even cruise boats. 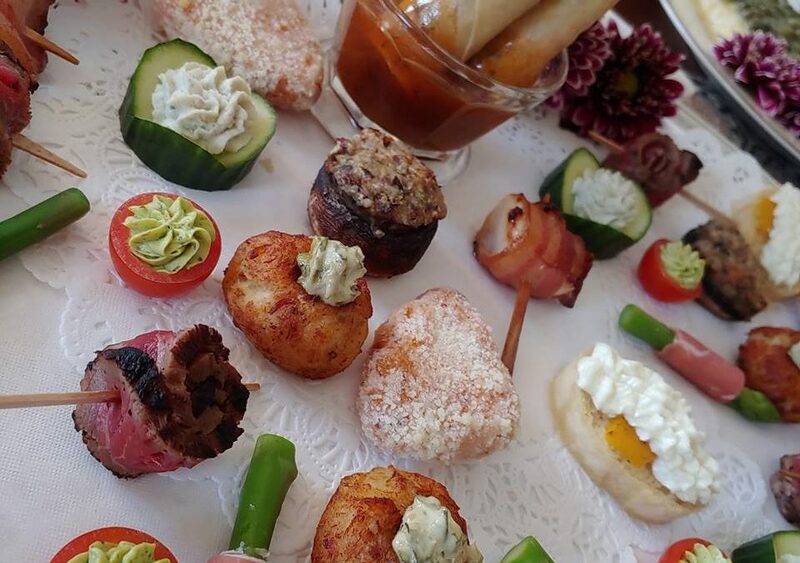 We specialize in Connecticut wedding catering, however we also cater to corporate events, social events, graduations, communion parties, special occasions, picnics and BBQs and all off-site events. Contact Fitzgerald’s Fine Caterting today for a free consultation and allow us to help you design a wedding party that you, your family and friends will revere for the rest of your lives. We can provide the elegant settings, delicious tasting food, and professional service that will make you feel like a guest at your own party! Fitzgerald’s Fine Catering of Black Rock, Connecticut performs catering services for Weddings, Corporate Events, Private Party, Birthday, Holiday, BBQ/Picnic, Brunch, Showers, Memorials Fund Raiser, Clam Bake, Our service area includes the following towns in Connecticut and surrounding areas; Fairfield, Southport, Westport, East Norwalk, South Norwalk, Darien, Greenwich, Ridgefield, New Canaan, Bridgeport, Easton, Weston, Trumbull, Monroe, Danbury, Brookfield, New Haven, Hartford, New London, Madison, Middletown and beyond!